Coralville Marriott Hotel & Conference Center, 300 E. 9th St. Celebrate the beers of winter at BrrrFest. With participating breweries like Pulpit Rock Brewing, 7 Hills Brewery, as well as local crowd favorites Lion Bridge, Big Grove and Backpocket, you're sure to find some beers to please many palates. If beer isn't your thing, you'll be happy to know that Cedar Ridge Winery & Distillery, Wilson's Orchard and Millstream (rootbeer, of course!) will be in attendance. Find inspiration for your dream home at this annual home builders tradition - The Home Show. In need of a solution for your current home? Rub elbows with local experts to get the tips and solutions for any home project. We're proud to be a presenting sponsor this year with first-time presenting sponsor Collins Community Credit Union. Iowa City is the perfect home for this unique 6-day celebration of arts, community and culture. With event programming focusing on performance, literature, and community, music fans can find a stronger appreciation for literature, and literary fans can expand their musical horizons. Starting in the heart of NewBo in Cedar Rapids and ending at Kinnick Stadium in Iowa City, this exciting new event is bringing the Corridor together. 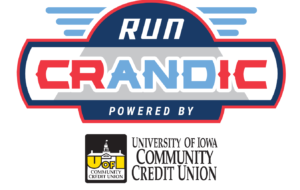 We're thrilled to be a sponsor for the inaugural race following the CRANDIC train line. With a marathon, half marathon and 5k, there's a distance for everyone. There is so much jammed packed in this two-day conference celebrating Visionaries, Innovators and Entrepreneurs. And the best part is that you don't have to be an entrepreneur to enjoy the sessions of this event- there's something for everyone! Stay tuned to learn what 2018 will bring for this progressive and thought-provoking conference. Postmodern Jukebox is Back in Black & White! Find more information about this one-of-a-kind show at the BEAUTIFUL Paramount Theatre in Cedar Rapids!